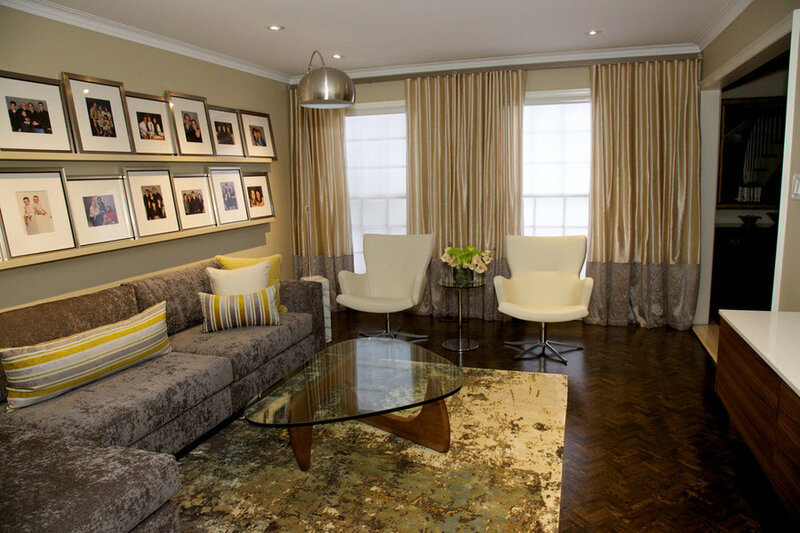 The clients wanted to brighten, update and simplify their family room which was filled with family photos. 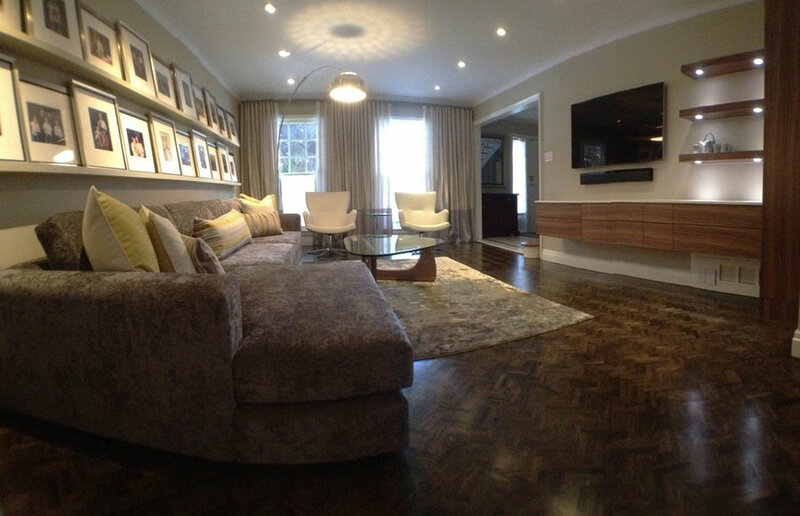 The result is streamlined, upscale, contemporary, calming and an incredibly livable space! Check out the before and after images. Call us when you are ready to update your space! 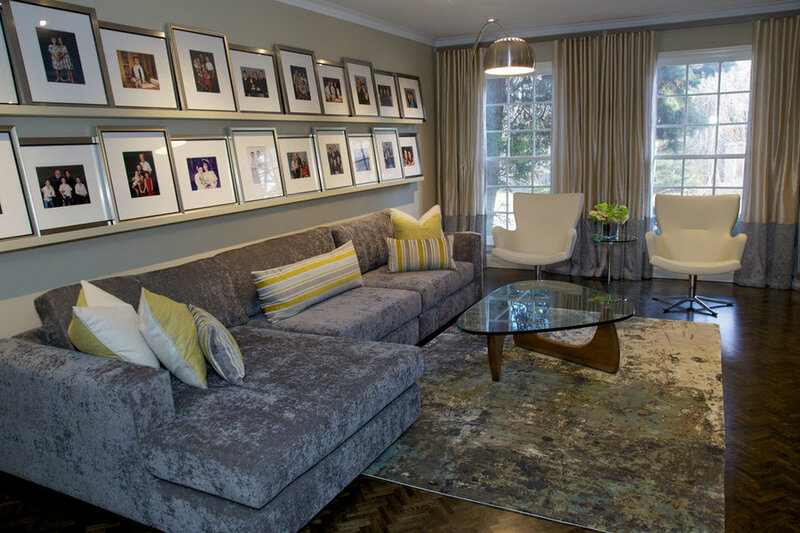 The clients wanted to update and brighten their family room, incorporating their many family photos. They wanted a livable, affordable design solution. Check out the before and after shots! 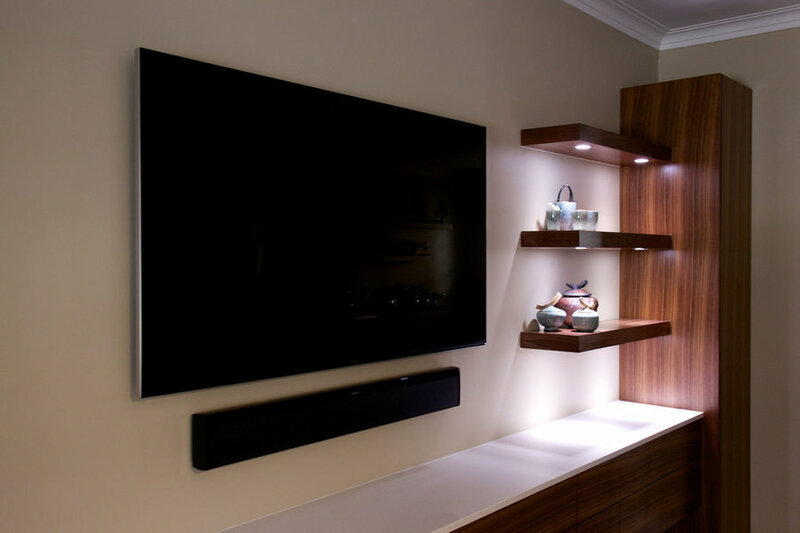 This clean line, custom designed wall unit allows for storage, AV components, and lit shelves to highlight artworks. By suspending the unit, the room feels wider. Take a look at the before picture. Big difference! 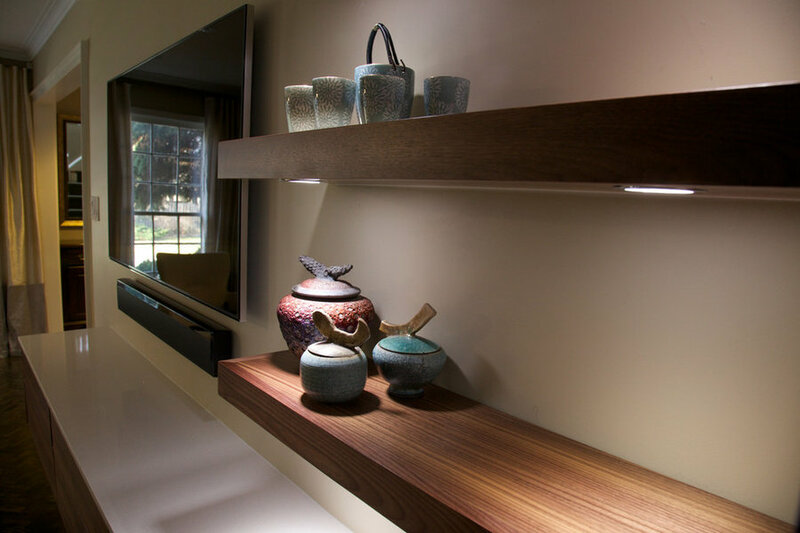 When all the lights are off, these underlit shelves highlight small delights. The Caesarstone counter is perfect for serving. 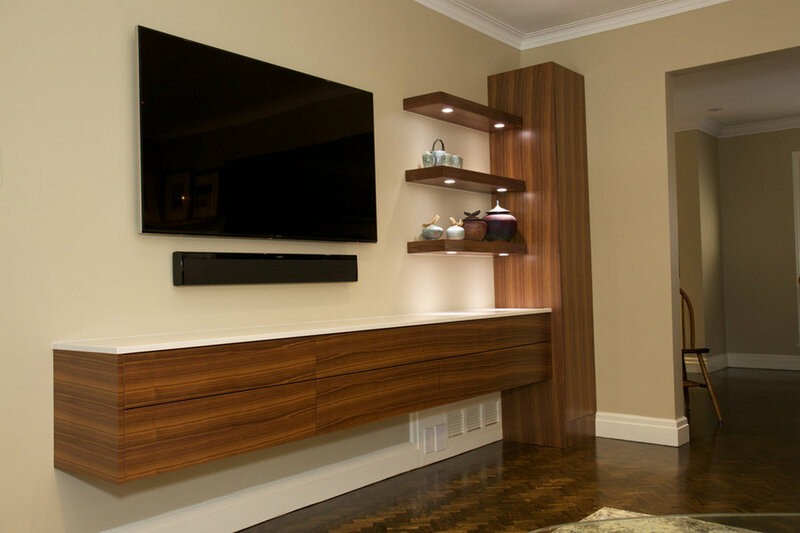 Rich walnut veneer brings a warmth to this contemporary custom unit. The Caesarstone counter is perfect for serving.